Property 5: BEST DEAL! Large 5 BR! Steps from French Quarter! Property 7: Wyndham Avenue Plaza Close To All Of The Excitement! Property 8: Best Location 7BR Next to French Quarter! Book NOW! 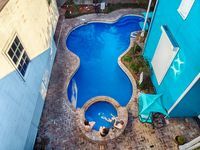 Property 10: Blocks from French Quarter for LARGE GROUPS! 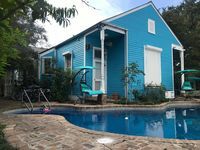 Property 14: Mid City Villa 2 Blocks from Canal! Property 15: Spectacular 5 BR! Next to French Quarter, Bourbon!